Just before Christmas a CD sized package was delivered to Progmeister towers with a Polish post mark. Having received an email just prior to delivery of said package from Radek Ratomski i had an inkling what was inside. 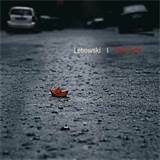 It was the debut album Cinematic by Polish band Lebowski. Now, some of you already know of my views with regards to some Polish Prog artistes so as you can imagine i approached this rather nicely packaged fayre with some trepidation. having attempted to glean as much information as i could from the booklet notes (as they were written in Polish) i decided to take the album with me in the car for the day. I later found all the information i needed written in English towards the back of the booklet. I was very surprised indeed what i heard emanating from the speakers. Very favourable indeed. On my return home i decided to listen to the album properly on my usual reviewing tools (Hi-Fi). In order to fully research Lebowski i typed into the browser “Lebowski cinematic” and up popped a cornucopia of reviews and interviews, all of them very positive. Quite why Radek sent The progmeister a copy with so many reviews already posted i am not so sure. However, i am very glad that he did. Lebowski are…….. Marcin Luczaj/Keyboards & synths, Marcin Grzegorczyk/ Guitar & Samples, Marek Zak/Bass and Krzysztof Pakula/Drums. The band are ably abetted by Katarzyna Dziubak vocalising and playing violin. Together they have made something rather special here. I have to confess that the band were on to a winner sending this album as i have a healthy penchant for soundtrack music and this is some of the most intriguing i have heard for a while. A synopsis of each track is included in both Polish and English within the booklet ans to be honest i found myself wanting a little more information with regard to inspiration etc, however, this is very easily overcame by using ones imagination. Trip To Doha opens the album with some very exotic Eastern inflections aided by Duduk giving a very ethnic feel to the whole piece. The glassy guitar sound adds to the depth of the soundstage making the listner want to explore the album further. 137 Sec continues with the Eastern theme utilising the sensual vocalising of Kasia Dziubak. The hammered dulcimer adds yet again to the authenticity of the style and had me looking at the jewel case for the country of origin. Marcin Luczaj plays some very nice Moog and Hammond sounds too. The title track “Cinematic” is very atmospheric with yet again some wonderful keyboard textures. I couldn’t stop myself thinking that involving a proper sax player on this piece would have yielded far better results than the unconvincing keyboard mutation included. This does not detract from the flow of the piece though firmly on my radar. I thought the crackling of a vinyl record behind the closing piano notes was a great touch. The piece i found most interesting is “Old British Spy Movie”. I was totally intrigued by the Polish interpretation of a British spy movie musically. It was made even more enchanting by Katazyna Dziubak’s haunting violin playing. Elsewhere on the album pieces of note are “Encore” with it’s dramatic chopped cello samples making a suitable backdrop for the French speaking vocal samples and accordion patches. Spiritual Machine is a more guitar driven piece with some rather splendid Ultravox-like piano licks whilst the terminating “Human Error” returns to the more atmospheric mode with some guitar synthesiser meanderings ending with the sound of a film reel reaching it’s end and spinning infinitely.